Deciding what action to take against infringers can be difficult enough – but what happens when you have an economic partnership with the infringer, as is the case with supermarket lookalikes? A ruling of the Benelux Office of Intellectual Property (BOIP) has created uncertainty over what constitutes genuine use of a mark in the European Union However, speculation has also surfaced over the motivations behind the case. In the face of increased levels of counterfeiting, Romanian law provides a range of important protections for brand owners. Although the country lacks both a centralized IP rights database and a standard procedure for border seizures, a range of anti-counterfeiting measures are available in Brazil. The Spanish spend an average of €285 million on counterfeit goods. 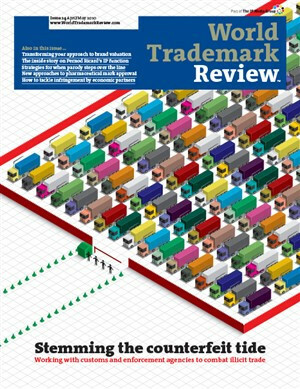 While this poses a challenge to trademark owners, protections are available through both Customs and the courts. With Italy’s policing bodies boasting internal departments to investigate IP infringement, and a range of actions possible, the country is well-geared to tackle the counterfeiting threat. However, brand owners must also ensure they police the threat themselves. Over the last few years, both Customs and the courts have become more proactive in the fight against fake goods, with the new Industrial Property Code set to provide further clarification on the extent of IP rights. A number of recent cases highlight the anti-counterfeit protections brand owners can draw on. While few counterfeit goods actually originate in Russia, brand owners need to be aware of the protections in place to guard against the impact of infringements. Like the manager of a professional sports team, trademark owners bear the pain and glory for their teams’ success and failures. However, China’s trademark laws and enforcement methods can help you turn that ‘L’ into a ‘W’. Despite a lack of specific remedies for counterfeiting in Canada, there are still options for brand owners. There are a number of enforcement procedures open to brand owners to enforce their rights, but the selection process is critical to success.